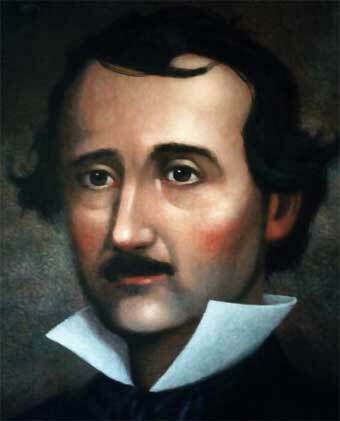 There is something strongly theatrical in Edgar A. Poe´s "The Raven," about a man sitting alone late at night "...while I ponered weak and weary over many a quaint and curious volume of forgotten lore..." Poe´s "theory of composition" stresses the mood, the image, the effect that the author wants to create. Likewise, the actor must deal with the same elements. The mood conditions the body of the actor. Images are essential to bring to life what is expressed in the script. Suppose you are the man in Poe´s poem. You have to "see" him slumped over his books, "hear" the raven say "nevermore." This year the theater workshop will begin with a performance of Poe´s dramatic poem--Sunday, August 9th at 6pm at the "El Damero" theater, Dean Funes 506, near the Spanish hospital in Buenos Aires. Before the performance we will invite spectators, poets, writers and those interested in participating in the theater workshop to read or recite their own poems or verses by authors. The workshop will get underway the following Saturday from 2:30 to 5 pm at the same theater, a wonderful playhouse with perfect acustics. An alternative schedule: Mondays from 7:30 to 10pm. We will work until the end of the year liberating body and voice from stiffness, thus preparing the way for entering into the fascinating world of creativity. We will be working on poems, short skits of our own creation or stories.